1948 COE 5 window cab. Sits on 1993 3/4 ton GMC frame, motor, trans and rear end with all electrical including ECM. 10ft bed, new tires, brakes. 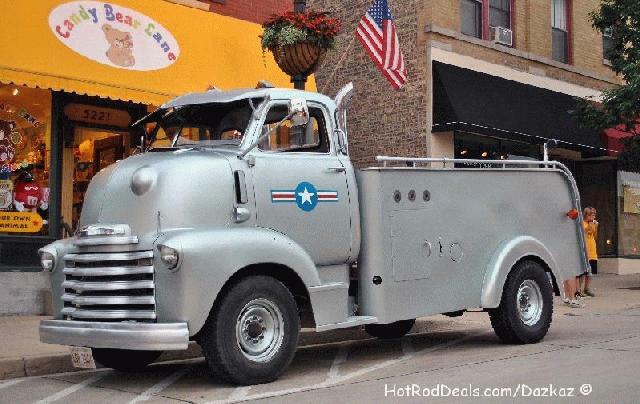 Rear bed sides are a 1947 international fire truck pumper.350 engine, throttle body injected. 700r4 transmission. New exhaust. Heavy duty suspension. Power steering, disc brakes in front, anti lock drum brakes in the rear. Runs really good. Capable of hauling heavy loads and towing. New radiator and trans/oil cooler.